On Tuesday, the House Science, Space and Technology Committee is scheduled to hold a hearing titled “Making the Environmental Protection Agency Great Again.” With the leader of the committee, Rep. Lamar Smith (R-TX), a staunch climate change denier and scientist witchhunter, and the incoming head of the EPA, Scott Pruitt, well known for his animosity towards the EPA and its regulatory powers, the name of the hearing will strike many as misleading. But as President Trump sets about making America great again—as he promised to do so many times on the campaign trail—it’s clear that rolling back regulations of all sorts and extracting fossil fuels of all varieties is high on his priority list. He’s already signed executive orders calling for the scrapping of two new regulations for every new one and fast-tracking controversial oil pipelines. Rumors and fears abound as to what could happen to the EPA, with everything from dramatic cuts to complete abolishment having been proposed already. Smith’s been on his crusade to make the EPA great again for even longer than Trump has had his eye on America’s greatness, and those who’ve followed along for the ride are concerned that with accomplices now in place across the executive branch his unorthodox ideas could become unwelcome realities. Dozens of scientific organizations are especially concerned that Smith will dredge up his “Summary of the Secret Science Reform Act of 2015” from last Congress, which died in the Senate in 2015 after winning House approval. Smith and other proponents say the bill will help make the science used by the EPA more transparent and available for public scrutiny and to stop "hidden and flawed" science from becoming the basis of EPA regulations. “No agency has more integrity when it comes to using science and being transparent than the EPA." Scott Faber, senior vice president for government affairs at the Environmental Working Group, a non-profit, non-partisan organization dedicated to protecting human health and the environment, strongly disagrees. Faber said the committee’s approach is nothing new to the Trump era, and that the efforts essentially follow the same playbook developed by the tobacco industry decades ago. He said the hearing is part and parcel of a larger campaign to “sow doubt about science” with the ultimate goal being to delay or block basic consumer and worker environmental protections— whether they deal with pesticides, water pollution, air pollution, or worker safety. Geraldine Richmond, president of the American Association for the Advancement of Science (AAAS), wrote a letter to Smith’s Senate colleagues in 2015 expressing deep concerns about the impact of the bill. “While transparency and reproducibility are of utmost importance to the scientific community, this mandate is overly broad and will have severe unintended consequences,” it states. 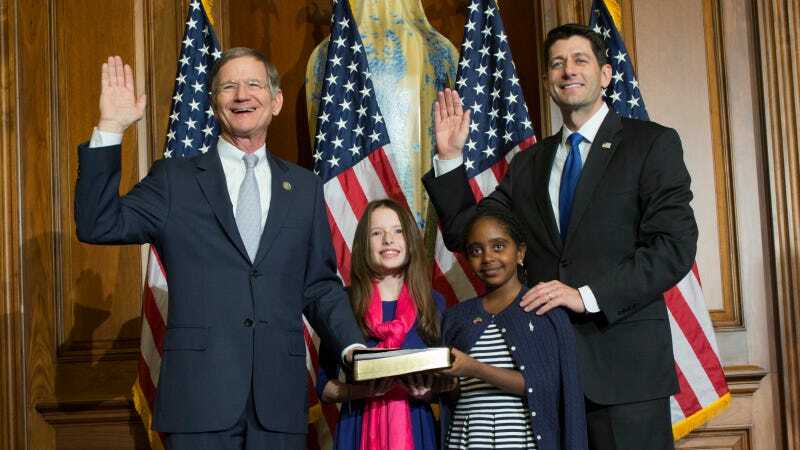 In laying out his priorities for the 115th Congress, Smith stated that he wants the committee to focus on “sound science.” Smith is not a scientist, and he does not agree with the 97% of scientists who consider human-caused climate change to be sound science (and a real problem). Smith has specifically targeted climate science and scientists with NOAA in a quest to vilify them and their work and expose them to even more harassment than the current partisan political climate already incites. He even went as far as to demand emails from NOAA scientists that have keywords in them like temperature, climate, and change. That’s probably quite a lot of emails. Maybe he will now add the word sound too. Smith’s heavy handedness with science has gone too far even for some longtime supporters, including his hometown paper, The San Antonio Express-News. In a strongly worded editorial last October, the editorial board said it could no longer support Smith’s bid for re-election due to a particular issue: His abuse of his committee chairmanship to bully on the issue of climate change. With scientists expressing serious concerns that climate and other scientific data might disappear from government archives under the Trump administration, this “accessibility to the American public” statement might also strike some as misleading. On Trump’s first day in office the climate change page on the White House website was taken down without any notice to the public. Smith, who was the first member of Congress to donate to Trump in last year's presidential campaign, is unlikely to ever use his position as head of the House Science, Space and Technology Committee to push back on this type of public disservice. A week after Trump’s inauguration, when the rest of the country was still confused why Trump couldn’t understand crowd sizes or voting tallies, Smith took to the House floor and praised the president while simultaneously bashing the media (distrust of science and of the media go hand in hand). And that is unvarnished irony.